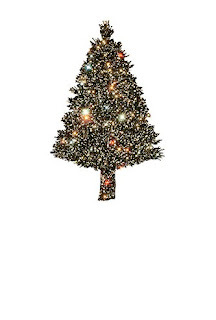 Well, I'm not sure how it happened, but here we are already at the first Friday of December. 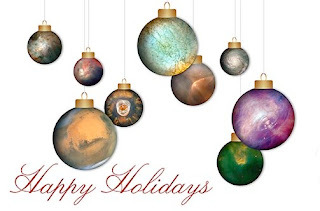 With the holidays just a few weeks away, we thought it would be fun to compile some gift ideas for space geeks. There are some other sites doing this as well ("Pick your Geek Gift" at msnbc is a good one), but we wanted to add a few more ideas to the mix. 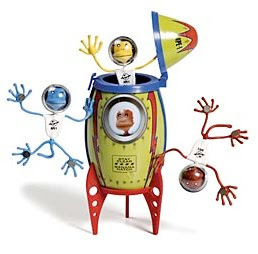 So, what would all of you good space cadets/cadettes like for Christmas this year? We've kick-started a gift list below, but we need more great ideas from you! Books, toys, collectibles, or anything else that a space geek might desire (bonus points if it's lunar-related!). Send us links to other great gifts that you know of, and we'll add them to this post. 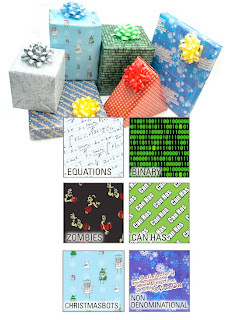 You'll need something to wrap up your geeky gifts. ThinkGeek has the solution! The Christmasbots paper is fantastic. What's more fun than a barrel of monkeys? A rocket full of them, obviously. Made of sugar and spice, and space blanket material? I love this one. And it's only about $7 with shipping. 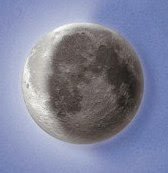 Provides date, time, & Moon phase. 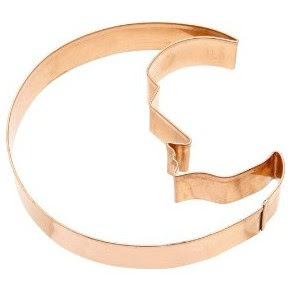 This one is also listed over at MSNBC's Cosmic Log Geek Gift List as well. 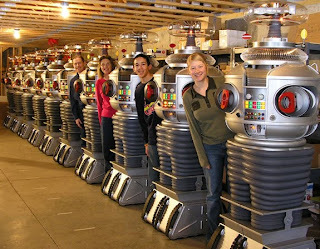 The "Lost in Space" robot replicas are being produced by one of our teams: Next Giant Leap. This gift carries a hefty price tag of $24,500, but profits will go toward the team's efforts to win the GLXP. It's only appropriate that this gift follows gift #9. 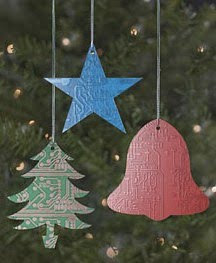 From @Quarkspin, we get another amazing Think Geek gift idea. 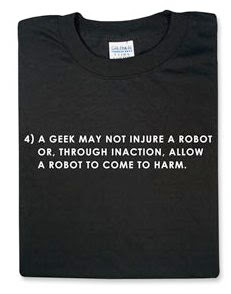 The shirt reads: "4) A geek may not injure a robot or, through inaction, allow a robot to come to harm." 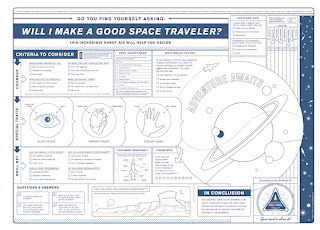 @Chris_Radcliff pointed us to this space poster, which looks really slick. 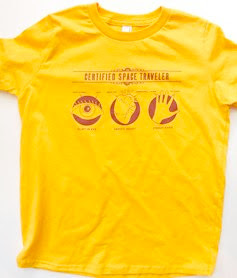 Simple, clean, and let's you know if you're cut out for this space travel thing. It is the t-shirt form of #11, also recommended by @Chris_Radcliff. The cool thing about the company that makes these is that they donate all proceeds to a "non-profit writing center for young people" called 826 Seattle. This lovely lunar light is courtesy of @Amoroso. 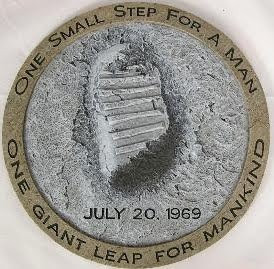 Designed by Buzz Aldrin! 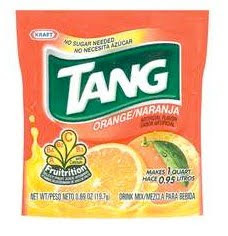 @rsisk101 reminds us of the basics of space -- Tang. 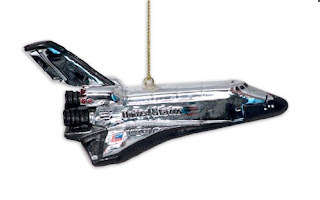 Every true space geek would love this gift. Right? Right? Another staple for space geeks, you're thinking. 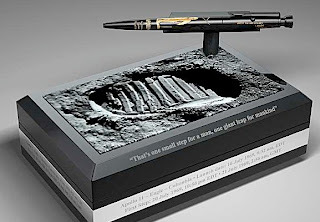 But check out this 40th Apollo Anniversary edition: this is like the Saturn V of Space Pens. Thanks for finding this, @cariann! 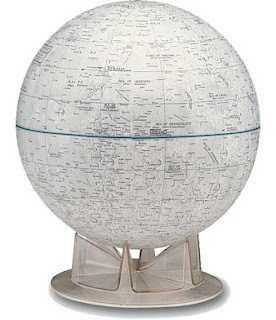 If you want to give someone the Moon, @cariann points us to a good place to find Moon globes. I don't know about this one, @QuarkSpin. But I will admit that it is a classic. I also like the "Splashdown Flavor Mix" on the same site. 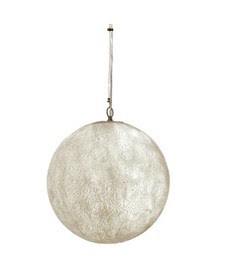 @Quarkspin finds us a clever Moon gift for the garden. 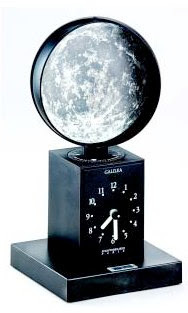 @TaviGreiner found a fun Moon gift for kids: a remote control, illuminated model Moon. It has the 12 phases, auto-illumination when dark, and just sounds plain cool. 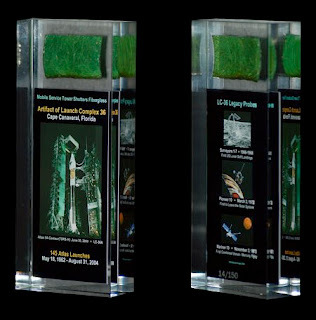 From the cool collectibles category, @RobertPearlman points out pieces of the pad that launched the Surveyor, Pioneer, and Mariner spacecrafts. 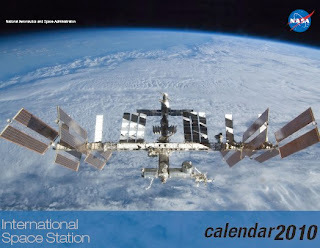 @csete found a free 2010 International Space Station calendar from NASA. Just download, print, and post! 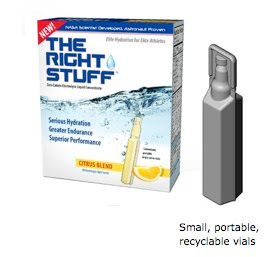 Think money can't buy "The Right Stuff"? @drewbenn has evidence to the contrary! 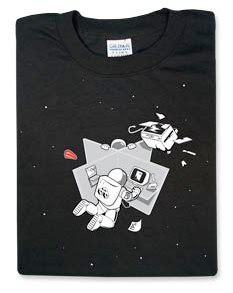 @txflygirl found this awesome shirt which is like the gift that keeps on giving to fellow geeks. 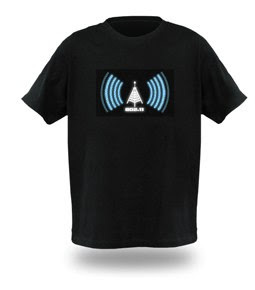 The shirt lights up and shows the current wifi signal around the wearer. @txflygirl has the best computer geek suggestions! Thanks everyone who participated today, this is a great list!